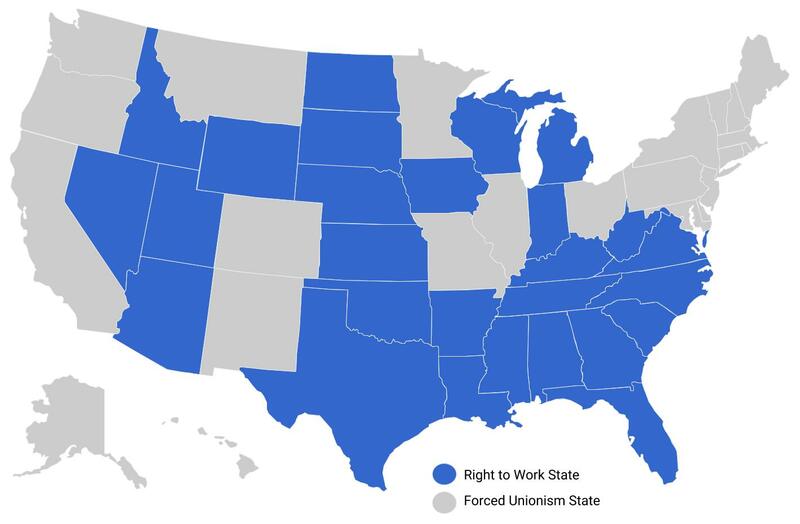 DO YOU LIVE IN A RIGHT TO WORK STATE? Can I be required to be a union member or pay dues? What if I want to continue working during a strike? What are my rights if there is a “card check” organizing drive at my workplace? How do I eliminate forced union dues from my workplace? How do I eliminate the union from my workplace? How do I cut off the use of my forced dues for politics? What if I have a religious objection to being affiliated with a union? How can I request free legal aid? How does the National Right to Work Foundation differ from the National Right to Work Committee?